Andrew Lownie’s biography of one of the Cambridge spy circle has recently caught an answering echo at Cambridge. Three men prominent in intelligence circles, one of them Sir Richard Dearlove, ex-head of MI5 and master of Pembroke College, have resigned as conveners of the Cambridge Intelligence Seminar. Thomas Becket: Warrior, Priest, Rebel by John Guy, Random House. The Jean Anouilh play Becket pretty much confirms the power of art on an unsuspecting public. 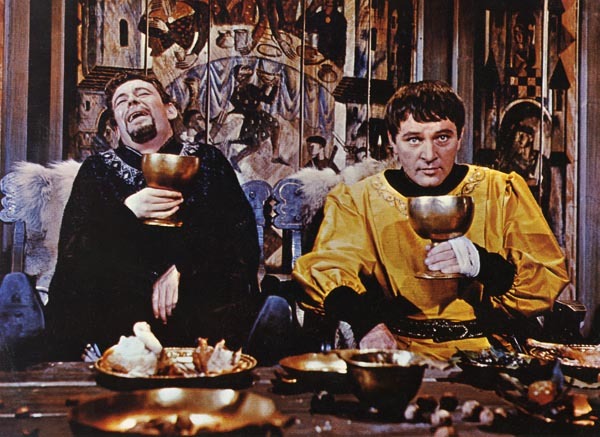 Think Henry II and the reasonably educated person will get an image of King Peter O’Toole and his one time drinking buddy Richard Burton. While Peter is always an engaging sort of rogue, Richard does really have the power of right on his side. He being a saint and all. So basically the fix has been in since 1959. Probably time enough for another look-see. To that end, Mr. Guy’s book gives us a more historically accurate but just as entertaining a rendering of reality. By 1821, Napoleon had been defeated and peace seemed to spread out on the horizon for the foreseeable future. A progressive sort of fellow (or perhaps he just wanted to shame the menfolk), Hazlitt cites admiringly the story of Margaret Lambrun (“as it is but little know, I shall relate it as I find it”).